Jerome Kohlberg Jr., a longtime seasonal resident, owner of the Vineyard Gazette, philanthropist and Wall Street pioneer, died Thursday, July 30 at his home on Job’s Neck Cove overlooking Edgartown Great Pond. He was 90. Mr. Kohlberg had battled cancer for a number of years, according to an obituary in The New York Times. 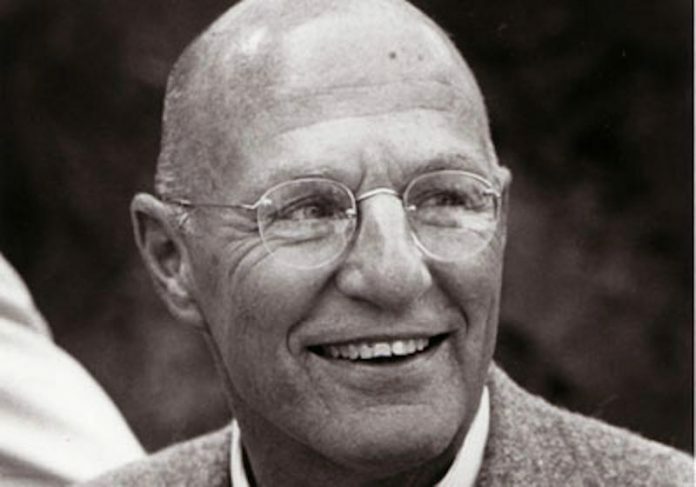 Mr. Kohlberg was a financier widely acknowledged as a leveraged buyout pioneer, first with Bear Stearns and later Kohlberg, Kravis, Roberts, formed in 1976 to pursue such deals, in which a group of investors buys all the publicly held stock in a company and takes it private, financing the purchase mainly with debt. Kohlberg Kravis Roberts & Company became a major force that set the tone for the buyout industry, particularly after it took over the tobacco and food conglomerate R.J.R. Nabisco — the deal made famous in the book “Barbarians at the Gate: The Fall of RJR Nabisco,” by Bryan Burrough and John Helyar, although Mr. Kohlberg left the firm a year before the deal was completed, according to The New York Times. In 1987, Mr. Kohlberg warned in a speech about the “overpowering greed that pervades our business life” and that it could “kill the golden goose.” Mr. Kohlberg resigned from the firm in 1987, citing philosophical differences with his partners. Mr. Kohlberg founded his own investment firm, Kohlberg & Company, run by his son and headquartered in Mt. Kisco, New York. Kohlberg & Company has raised $5 billion from investors since its inception, having struck $10 billion worth of deals in its own right, The New York Times reported. Mr. Kohlberg eschewed the high-profile, ostentatious lifestyles of others in the leveraged-buyout business — since renamed “private equity.” He shunned the high-roller social soirees for tennis, reading and later yoga, The New York Times said. “He felt moral issues came into everything,” his daughter Pamela Kohlberg told the Vineyard Gazette. Jerome Kohlberg Jr. was born on July 10, 1925, to Jerome Sr., an importer, and Edith, a writer and charity worker, and was raised in New Rochelle, N.Y. He later attended Swarthmore College. After a stint in the Navy, he earned degrees from Harvard Business School and Columbia Law School, helped in part by the G.I. Bill. A brief detour as a clerk for a federal judge eventually led Mr. Kohlberg to Wall Street, where he joined Bear Stearns. While there, he became the head of the bank’s corporate finance department, responsible for the standard capital-raising that was the mainstay of investment banking. But he developed a specialty on the side: what was known then as the “bootstrap deal,” originally meant to buy the companies of aging business owners looking to sell, the New York Times said. Mr. Kohlberg would set up shell companies with the help of investors, amplify his buying power with borrowed money, and then buy those businesses. After vigorous cost-cutting and pushing management teams to perform more efficiently, he would bring these companies to the stock markets, selling them for hopefully more than he had paid. Jerome Kohlberg retired from Kohlberg & Company in 1994, giving him more time to focus on philanthropy, in particular assisting returning veterans. In November 2010, Vineyard Gazette publisher Richard Reston announced that Nancy and Jerome Kohlberg had bought the Vineyard Gazette from the Reston family for $3.5 million — $1.5 million for the Gazette’s real estate and $2 million for the newspaper business. In a linked deal, the Kohlbergs donated $1.5 million to the Martha’s Vineyard Preservation Trust, which purchased the Gazette building, on the corner of South Summer Street and Davis Lane in Edgartown, that has housed the Gazette’s offices and printing press since 1938. The building dates to 1760. He is survived by his wife, four children, 12 grandchildren and three great-grandchildren, Funeral services will be private.